Keen on multitasking? Well so is this candleholder/vase designed by LUCY.D. 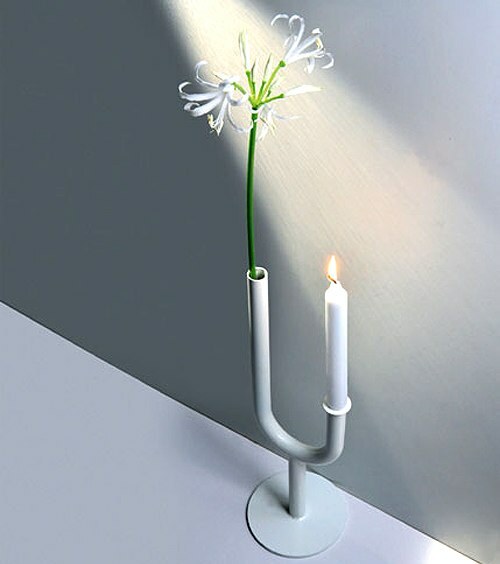 This simple design consists of a curved, powder coated metal tube that can hold a single stem flower on one side and a candlestick on the other. I’m a sucker for candles, pretty much any style or scent. 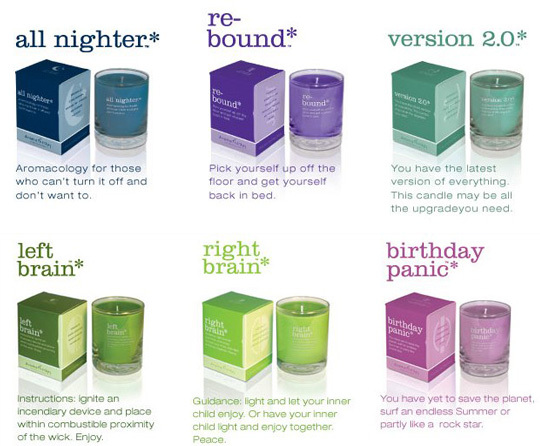 These cute Aromatherapy Intervention candles are candles with attitude and a purpose. There are candles for everyone on your Christmas list, from workaholics to hypochondriacs, those that are left-brained or going through their quarter life crisis. You have to check out the site and choose a candle that will fit your needs. Have you ever gotten up in the middle of the night and can’t see a thing? I’m not much of a night light kind of person, but this is a very cool and modern twist on the bathroom night light. 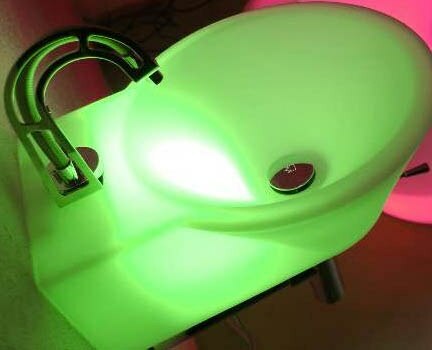 For $250 you too can have this ultra hip Illuminated Sink from Generate. 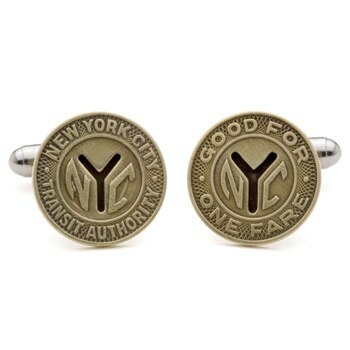 These cufflinks are actually made with NYC subway tokens from 1953 to 1970. How could you resist these beautiful vintage cufflinks? Great for a last minute Christmas gift. 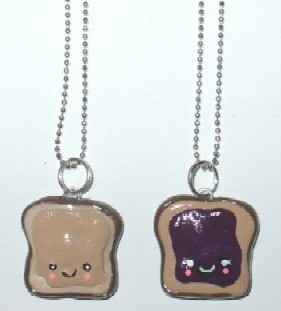 What goes together like peanut butter and jelly?!? Best friends, of course! These cute necklaces are an original variation on the typical best friend necklace. One friend gets the peanut butter and the other gets the jelly.Yummm…. it is making me hungry just thinking about it! I have never really been that great of an artist, but I always loved Paint-by-Numbers because it made me look like I knew what I was doing! 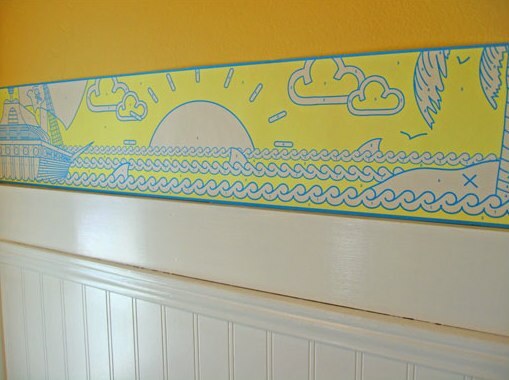 These great Paint-by-Numbers Wall Strips can bring the kid out in you as you decorate your home. There are three styles that you can choose from, mostly water/sunshine scenes. You can use anything from crayons to paint pens to color in the designs. Coloring on the wall is no longer something you will get in trouble for!